Western Red Cedar is so popular as a material because of its strength. 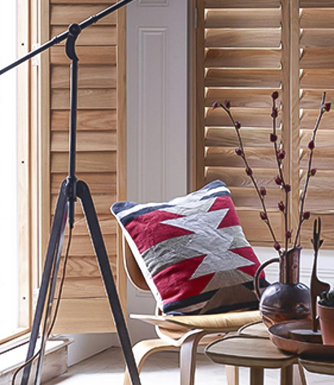 Our Cedar plantation shutters in Melbourne are lightweight and strong, with a fine grain and natural warm tones when untouched by colour. Cedar has a cellular structure that gives it far more effective insulative properties than many other shutter materials. The shutters are easily opened and closed to allow not only for light control, but also temperature. So, not only will your shutters look great, they will help lower your energy bills in the cold and hot months. Cedar takes staining and colouring well, which means that you will be able to select a colour or stain that’s perfect for your decor. Our Cedar plantation shutters are made from sustainable, environmentally friendly materials, as are all of our products.